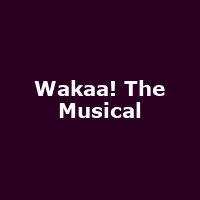 "Wakaa! The Musical is a play about the trials, successes and experiences of young graduates with varied background, a wager between them after graduation has a twist when the realities of life and the folly of their choices hit them. Eventually they reunite, coming full circle. The story reveals the struggle and challenge young people face in present day Nigeria and abroad, taking you on an emotional roller coaster and is a strong satire of the Nigeria's politics."